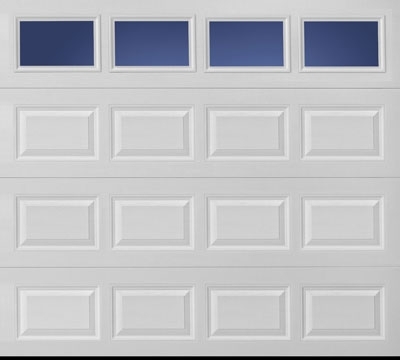 Three-layer insulated steel garage doors, up to 16'x7'. Windows extra. 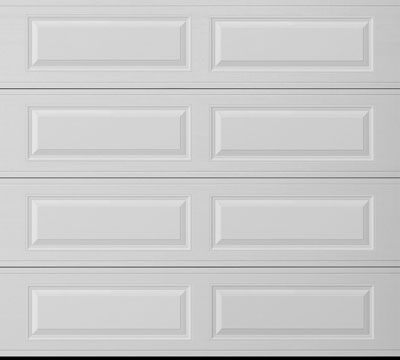 Three-layer insulated steel garage doors. Environmentally safe, CFC-free insulation is sandwiched between two layers of steel for exceptional energy efficiency, strength and security, as well as quiet operation and a beautiful appearance. Choose from a wide range of design options to create a door that fits your budget and enhances your home’s curb appeal. 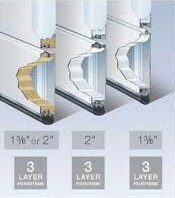 3-Layer pressure bonded construction provides ultra-quiet operation plus maximum security and dent resistance. 1-3/8" polyurethane (12.9 R-Value) or polystyrene insulation (6.5 R-value) also available. Weather-tight section joint helps seal out the elements. 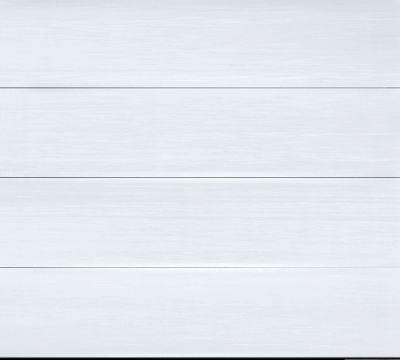 Prepainted white end stiles and interior steel backing provides a clear and finished appearance. Galvanized corrosion-resistant, long-lasting torsion springs offer up to 50% longer cycle life than industry standard torsion springs. For complete window design please click here " Window Options "